Located at the foothills of the Rocky Mountains, along the winding Boise River, Boise is the capital city of Idaho State, USA. 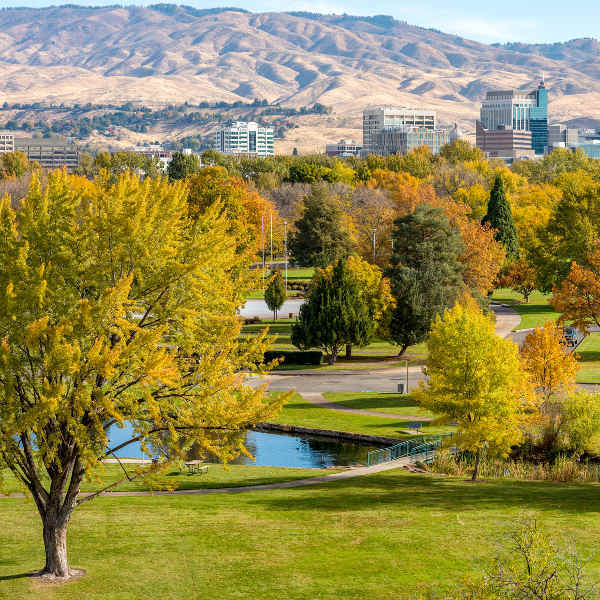 Famously known as “City of Trees”, Boise is a natural wonderland of mountains, rivers and lakes. Established by British traders, the city boasts a thriving arts scene. Attractions include the River Greenbelt and the Capitol Building. Cheap flights to Boise are now available for a limited time only, so book your flight today and get excited for the vibrant culture and intriguing landmarks of this lively city! Boise is home to Boise Airport (BOI), a 10-minute drive or 25-minute train commute from the city centre. This utopia for nature lovers boasts magnificent mountain peaks, idyllic waterfalls and lakes, and lush forests. A day out in this natural haven will invigorate your senses and refresh your mind. With a history dating back to the 1800s, the city carries a deep-seated history embedded in its museums, prisons and memorial parks. This cultural hub is home to the well-known State Capitol Building and Old Idaho State Penitentiary. Adventure-junkies can enjoy all the city has to offer, from hiking and mountain biking, to adrenalin-racing tubing, skiing and white-water rafting. Time to get your thrill on! Boise experiences a semi-arid continental climate with hot, dry summers and cold, snowy winters. 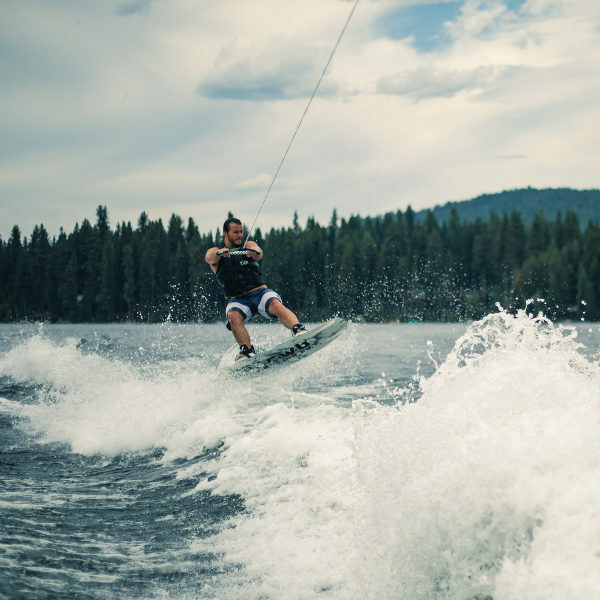 The summer months of May to August burst with outdoor activities with plenty of water sports to enjoy along the city’s river and lakes. Spring time is also lovely and warm, but if you’re looking for discounted rates, the pretty autumn months between September and November is the time to go. Popularly deemed “City of Trees”, the autumn season displays an auburn glaze across the parks and gardens, where many music and art festivals take place. Experience a winter wonderland between December and February when avid skiers and snowboarders take to the slopes. If you can brace the rain and snow, you’ll have a blast with all the winter activities to explore! Boise, the capital city of Idaho, is situated at the foot of the Rocky Mountains, along the Boise River. Established during the 1800s, the city was once home to native Indians, British traders and a prosperous gold rush. Boise’s close proximity to the great American outdoors does not take away from its charming complement of 19th century and modern architecture. The Idaho state capital offers numerous tourist attractions that range from leisurely sightseeing to adrenaline-pumping outdoor activities. Outdoor recreational activities are seasonal with winter promising wonderful cross-country skiing opportunities, while kayaking, rock climbing, white-water rafting and hiking are the order of the day in summer. A short hike or drive to the summit of Table Rock is worthwhile for the scintillating vistas of the city and surrounding valley. From this elevated vantage point visitors can also spot herds of deer and elk in the hills. The River Greenbelt offers walking and cycling paths and wildlife viewing. Make sure you visit Julia Davis Park, home to the Boise Art Museum, Boise Zoo, history museums and picturesque rose gardens. 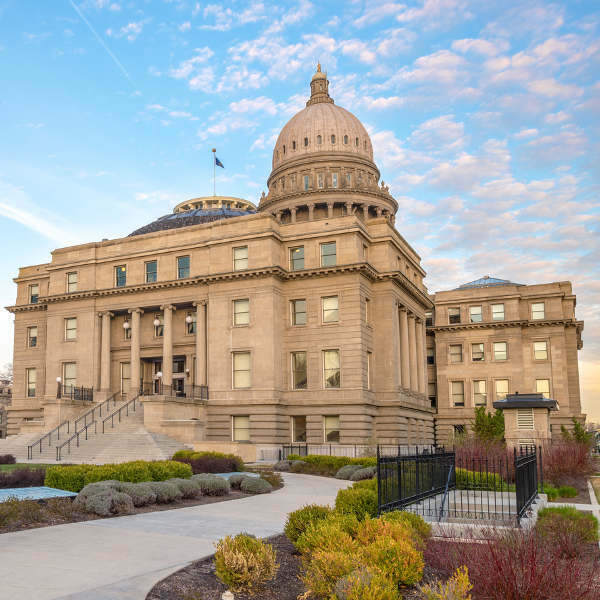 Discerning travellers can take in the sights of the State Capitol Building, the Anne Frank Memorial, Old Idaho State Penitentiary, and the Basque Museum and Cultural Centre. Do catch the Shakespeare Festival performed outdoors during the summer. Compare several airlines and book your cheap flights to Boise online at Travelstart! Boise is a very laid-back city with friendly locals welcoming visitors from all corners of the globe. Although it has a thriving nightlife, most visitors come to the city to explore its natural attractions. Use common sense and practise the usual safety precautions of not leaving items unattended and ensuring your car is locked when parked. The city is perfectly safe to walk around in, and there is no better way to take in the crisp, fresh air and beautiful gardens. Women may feel unsafe walking alone along the Greenbelt area at night, but general crime rates in Boise are extremely low.